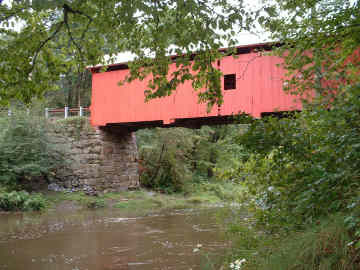 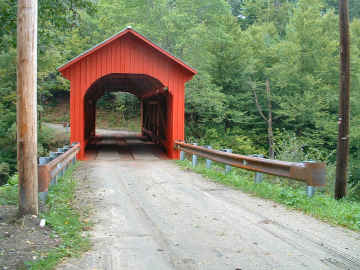 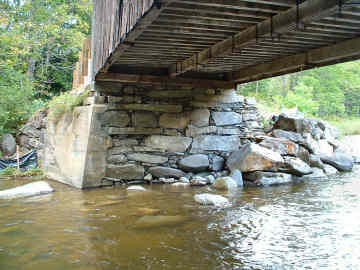 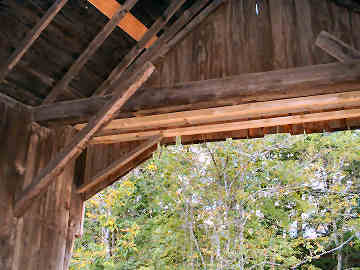 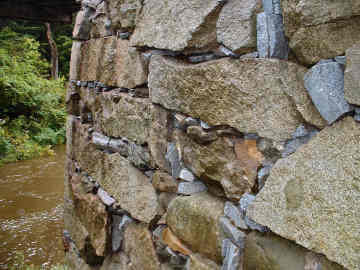 September 2, 2005 - Here are some pictures of Slaughterhouse (Northfield) and Moxley (Chelsea) Covered Bridges which were addressed under current Vermont Agency of Transportation contracts for stone re-pointing, fire retardant application, guard rail installation and other miscellaneous work. 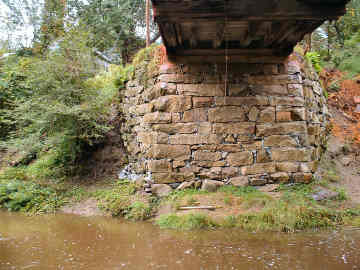 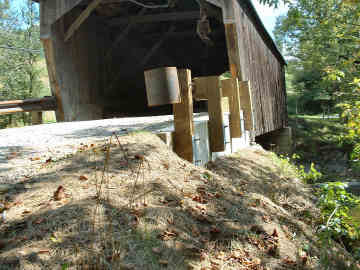 This work is being done under the National Historic Bridge Preservation Program, sometimes known as the Covered Bridge Program financed by Senator Jeffords' funds. 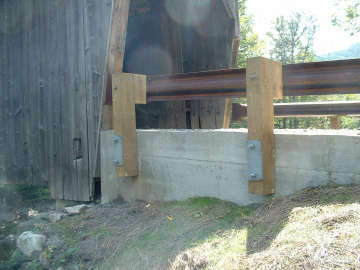 This year, in Vermont, there were 15 covered bridge sites addressed under four separate contracts.